We haven’t really been going out on weekends the way we used to. Ever since our son entered junior high in Pisay, he seems not to be running out of things to do for school even on weekends, so yeah, our family weekend schedule now depends on him. 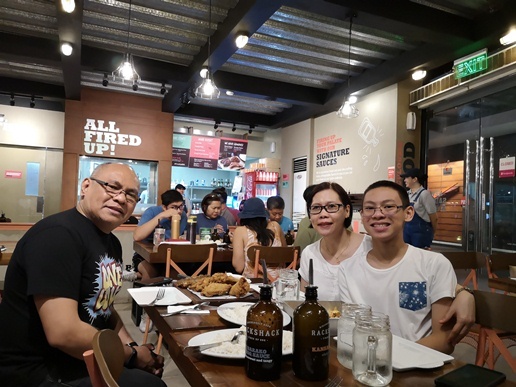 We went to Circuit Makati for the first time on a Sunday, checked out the stores there, and had dinner at Rackshack. We had Loaded Fries, Shack Platter, Shack Slaw, and Brownie S’mores. 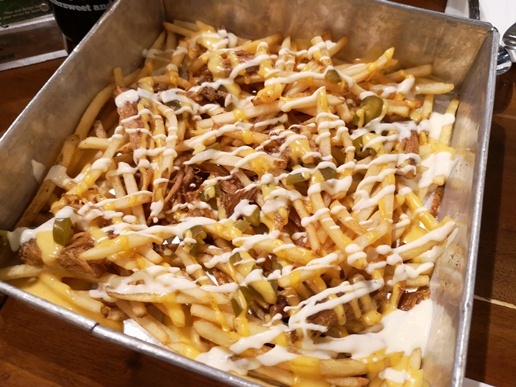 Loaded Fries are crunchy skinny fries filled with pulled pork, cheese, and jalapeños and sprinkled with sour cream. What a unique way to enjoy fries! We highly recommend their Shack Platter, which is good for 4 people. On the platter are 2 pieces of ribs, ½ crack fried chicken, and 4 cups of rice. We enjoyed their crack fried chicken to the hilt; it’s super crispy outside and moist and flavorful inside. The tender, succulent ribs were equally delightful, with five different signature sauces to choose from: Mother Sauce, Hoisin, Carolina Gold, Kansas Style, and Spicy Mother Sauce. If you were to ask us which of the two we like more, hands down, it would be the crack fried chicken. Try it to believe it! Rackshack’s coleslaw a.k.a. 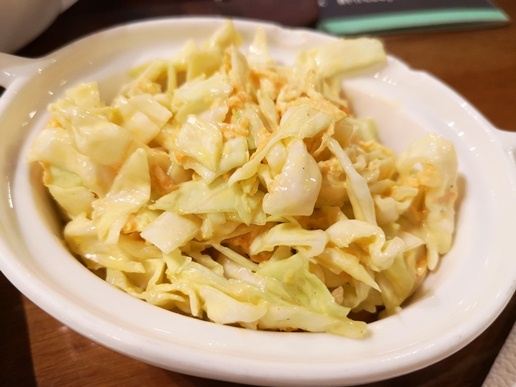 Shack Slaw is finely chopped cabbage with creamy mustard dressing. This was fine, although I prefer coleslaw with a tinge of sweetness. We expected to see ice cream and toppings on this Brownie S’mores, but it didn’t have any. We realized too late that what we ordered was just the plain Brownie S’mores. Only when I checked the menu again after our dessert was already served did I notice that you have to pay extra for the ice cream scoops and toppings you want for your Brownie S’mores. 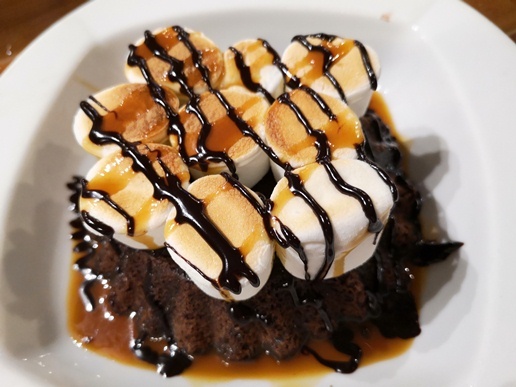 And because we failed to see this important detail when we ordered, we didn’t get to enjoy this Brownie S’mores as much, which I also found to be a tad too sweet. Everything we had at Rackshack was good, save for the blunder we made in not ordering ice cream and toppings for our Brownie S’mores. Next time we’ll be wiser. 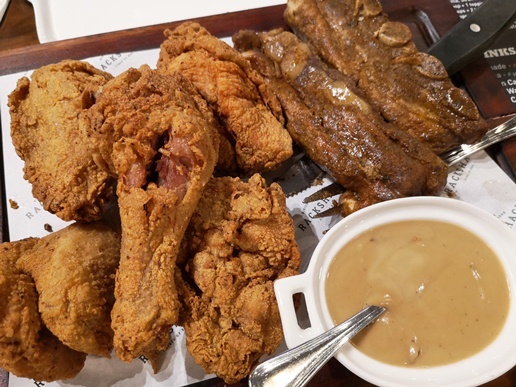 This entry was posted in American Cuisine, Circuit Makati, Rackshack, Western Cuisine. Bookmark the permalink.